Moldex disposable respirators feature an exclusive Dura-Mesh shell designed to resist collapsing in heat and humidity and protects the filter media from dirt. Moldex Disposable Respirators also feature a contour molded nose bridge that seals comfortably and naturally without having to clamp a metal noseband. 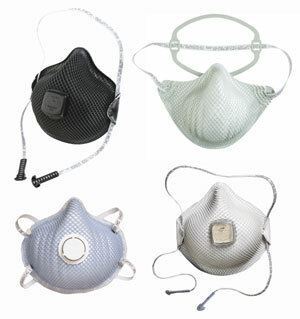 Available in many models from N95 to P100.